« Did Someone Say Sale? Not only are horse’s magnificent animals they are also wonderful, insightful teachers! I have learned so much from my horses and being around “horse people” that I have been compiling ideas about how it relates to my life/coaching practice for years. Always Be Aware of Your Surroundings ~ Children and Horses (well all of us) have different sensitiveness to different things that are all around us. Some of our children are highly sensitive to noise, light, smell & countless other things…like shoes and socks! If a child has been uncomfortable for too long they will have to let off their energy somewhere…often it looks like a tantrum! Stay aware! The similarities are uncanny; they both come on very fast…half the time out of no where…or at least it feels that way! So here is where the lesson comes in. 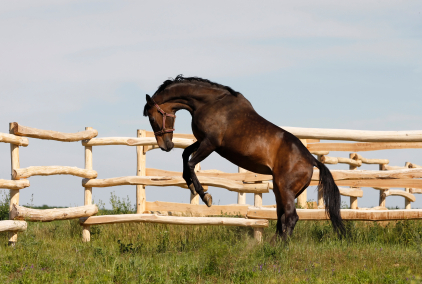 The truth is if we are acutely aware of what is happening for our horse/child there are lots of subtle signs that there might be a buck/tantrum in our future! This is probably the most important thing I have learned from my horse, stay present, always aware of surroundings, trouble shoot before things go wrong! Trouble Shoot Before Things Go Wrong ~ When you are staying aware of these critical things, you can often “rein” things in before they go wrong! Checking in with self is the number one suggestion. Knowing your own limits first then being sure you understand your child’s/horses also! If a sensitive child has to wear an uncomfortable outfit to a wedding, then it’s loud, and everything smells different…you better be prepared ahead of time to leave early. Even I am amazed that I just got a full page of writing out of the idea that riding out a bucking horse is similar to riding out a childhood tantrum. I hope for all you “non-horse” people you can take this analogy with you in your travels and daily life with your children. Maybe it will even help you stay more in tune with your child and your Self. Above all else…EnJoy The Ride! 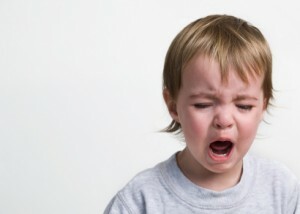 What do you do when your toddler has a tantrum? Please leave a comment to share some tips or tricks that you have learned along the way! Tracy Liebmann is a Personal Development Coach for Mothers. She believes deeply that connection and communication is key to deep, loving relationships. She mothers her two teenage children from the heart, knowing that is where the truth lies when it comes to parenting. Her coaching clients describe her using words like; compassionate, caring, understanding, patient, insightful and intuitive. She lives in Charleston, SC with her husband of 19 years, her 2 children and many interesting pets. She enjoys being with her family, cooking, anything outdoors and being with her horses! You can learn more about her and her coaching practice on her website Transforming Family. Tracy is a regular contributor to this blog, so stay tuned for more great parenting articles from her!